Little-known tidbits about the people and the contributions of African-Americans to society. 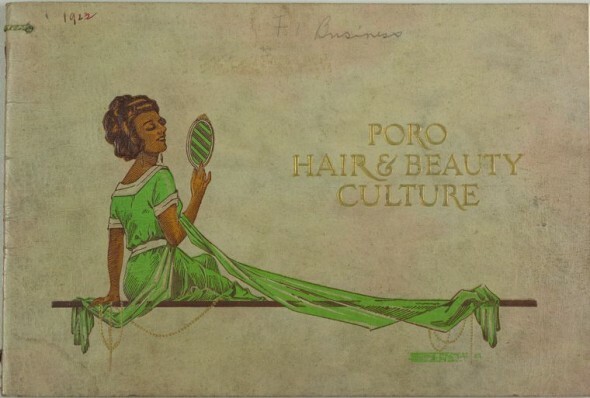 Beauty culture was big business at the turn of the century, and just as the beauty industry liberated women like Helena Rubenstein, Harriet Hubbard Ayer, and Elizabeth Arden, among others, it also liberated black women. Madame C.J. Walker’s fame as the first black millionairess has overshadowed America’s other successful black beauty businesswoman, Annie Turnbo Malone. 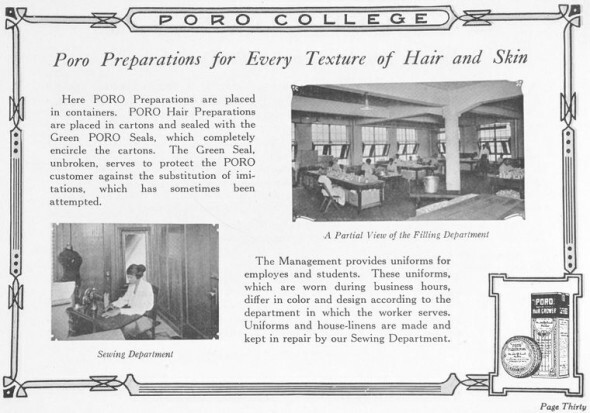 In fact, Malone and Walker were contemporaries, with Walker even getting her start in the beauty industry through Malone’s Poro company (this remains a controversial period in both women’s lives till this day!). Malone, an amateur chemist, began experimenting with her own hair care products at a young age, and by the turn of the century, her “Wonderful Hair Grower” had become a staple in the cabinets of African-American women who were largely ignored by mainstream hair product companies. Malone built her business brick by brick–or rather foot by foot, since she sold her products door-to-door before setting up shop in St. Louis. 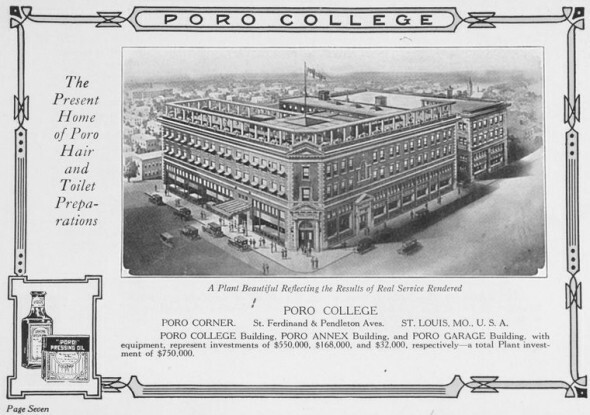 St. Louis in the early 1900s was a thriving city, particularly in the wake of the Louisiana Purchase Exposition (informally known as the St. Louis World’s Fair), and many African-Americans migrated from the South in search of better opportunities. 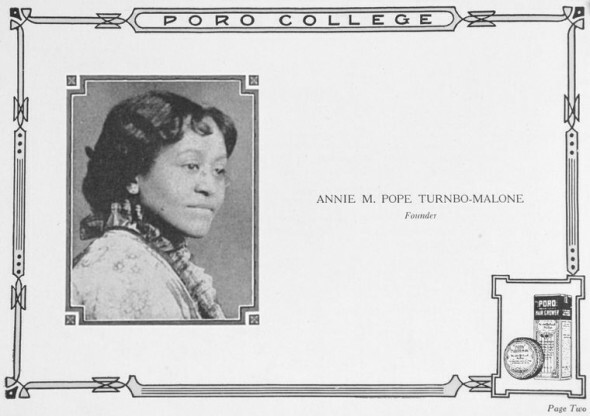 By the 1920s, Malone was a multi-millionaire, and her Poro brand a well-known name throughout the Americas, Africa, and the Philippines. She faced competition from African-American firms like Apex and from mainstream firms who (belatedly) realized the potential earnings in African-American beauty culture, but her business thrived even after her divorce and the vagaries of the Great Depression. By the time of Malone’s death in 1957, she had trained and employed nearly 100,000 women across the globe, and left a legacy of successful entrepreneurship. Published in February 1912 issue of The Crisis; photograph by Addison	Scurlock. Click to enlarge. In 1908, William H. Bishop, Jr. invariably identified as “belonging to one of the oldest families in Maryland,” who was clerk in the Internal Revenue Service for thirty-five years, succeeded in pulling together the various rival factions in Baltimore’s black elite into a single organization, known as The Baltimore Assembly. Bishop served as its president and John C. Matthews as vice-president. 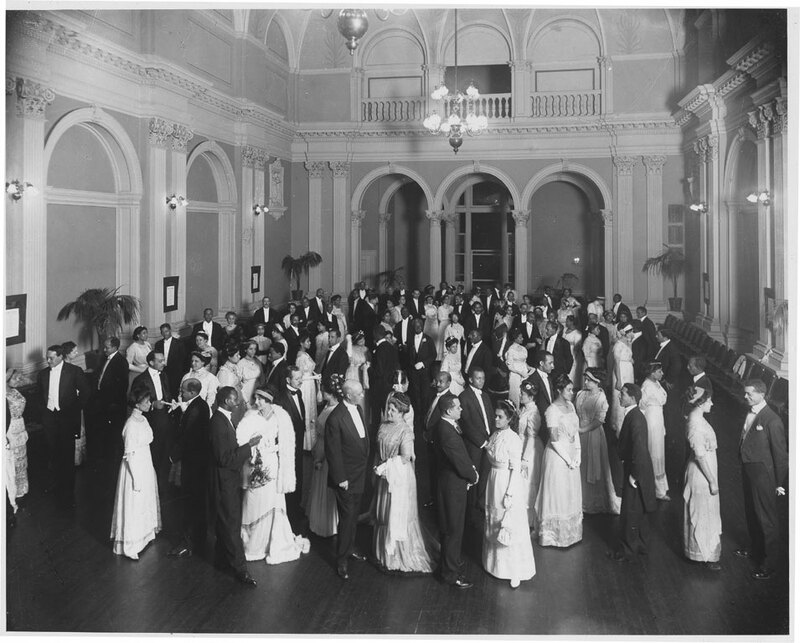 The annual mid-winter balls and post-Lenten receptions held under the auspices of The Assembly offered abundant evidence of “gentility.” Indeed, in 1910 one black journalist insisted that the social affairs of the “better class of Afro-Americans” who made up The Assembly surpassed even those sponsored by people “who claim to belong to the ‘smart set’ of the white race.” In order to insure that The Assembly would remain genteel, its officers decreed in 1912 that the Bunny Hug, Turkey Trot, and Gavotte, dances in vogue with the “smart set” in other cities, would not be allowed at the mid-winter ball in Baltimore; the invitations that year included a card listing those dances considered appropriate. On the Fiftieth Anniversary of the Signing of the Emancipation Proclamation. Struck off our bonds and made us men. How distant seems our starting place! Look farther back! Three centuries! Stood, wild-eyed, on Virginia’s shore. On history’s most wondrous page. An upward, onward, marching host. A pledge to hold this day sublime. For faith and strength renewed may pray. This country and this land of ours. And aliens without part or share. Our sweat is in its fruitful soil. The cotton white, the yellow corn. Bent bare beneath a ruthless sun. Was dyed by Attucks’ willing blood. That we have faltered or have failed. And planted far across the seas. Ever against that flag been raised. Or shall we hang our heads in shame? And fear our heritage to claim? And we have more than paid the price. To hear some voice for justice raised. With hands uplifted in despair. The far horizon’s beckoning span! Faith in your God-known destiny! We are a part of some great plan. Think you their work can be undone? Or quenched the fires lit by their breath? Think you that John Brown’s spirit stops? That Lovejoy was but idly slain? From Lincoln’s heart were shed in vain? God cannot let it come to naught.